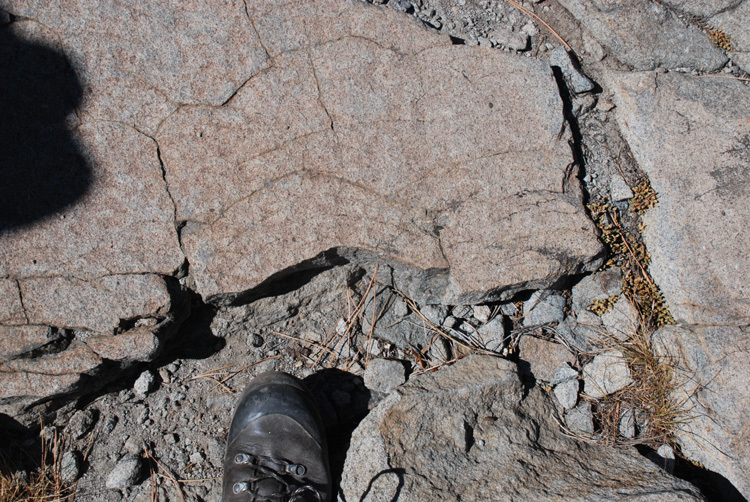 Chatter marks (curved fractures that are often nested) formed as the glacier dragged a boulder across the bedrock. They indicate which direction the glacier was flowing. In this case it was flowing from the top of the picture towards my boot (included for scale).